RoboMarkets (Ex RoboForex), a part of RFG Holdings, offers multiple trading platforms and research tools and a wide range of CFD markets. Please Note: RoboMarkets was not included in the 2019 annual review. As a result, this broker's ratings may be outdated. Read our Best Forex Brokers 2019 guide for a look at the top rated forex and CFDs brokers. Founded in 2009, RoboForex Group (RFG) Holding is the owner of two related brands, RoboMarkets Ltd – regulated in Cyprus (formerly known as RoboForex) and RoboForex Ltd – regulated in Belize. In early 2013, the broker obtained regulatory status in Cyprus under its RoboForex (CY) Ltd entity as a Cypriot Investment Firm, and is passported throughout other European Union (EU) member states. Primarily a MetaTrader broker offering the suite of platforms developed by MetaQuotes Software Corporation, including MetaTrader 4 (MT4) and MetaTrader 5 (MT5), the firm offers cTrader – developed by SpotWare Systems, and the Umstel web platform branded as RTrader. RFG Holdings’ brands offer multi-asset trading solutions on 36 forex pairs, and CFDs on metals, cryptocurrencies, and 8,700 stocks. Here at ForexBrokers.com, we maintain the largest independent regulatory database available on the web. Using 28 different variables, we have created a proprietary 1-100 score (the higher the better) of overall trustworthiness, which we call the Trust Score. Here is our trust summary of RoboMarkets. The following table summarizes the different investment products available to RoboMarkets clients. RoboMarkets commissions and fees vary depending on the type of account opened (the Pro Standard, Prime, ECN-Pro, and Pro-Cent accounts). The Prime account requires a $5,000 USD deposit, and offers an average 0.3 pip spreads on the EUR/USD, and a commission of $2 per standard lot ($4 round turn), bringing the all-in cost to roughly 0.7 pips. The Pro-Standard account has no commission but higher costs on the EUR/USD, with an average spread at 1.6 pips. It doesn’t require a minimum deposit. The Pro-Cent has similar features as the Pro-Standard, except the micro contract size (1,000 units) allows for “cent” pip values when trading. The broker also offers a VIP account for active traders who qualify as professional clients in the EU, where rebates are given based on the amount of volume traded. RoboMarkets provides research from Claws & Horns, an independent research firm that offers various forms of analytics content, including trading signals. The R Trader platform also allows traders to create automated trading strategies without the need to know complex coding, in addition to what is available on the MetaTrader and cTrader platforms. RoboForex also provides two solutions, CopyFx and RAMM, for social copy trading. The broker also offers a blog-style daily analysis and market commentary, helping to round out its research offering. RoboMarkets is primarily a MetaTrader broker offering the MetaTrader 4 (MT4) and MetaTrader 5 (MT5) platforms developed by MetaQuotes Software Corporation. To learn more about MT4, read our MetaTrader guide. Through its RoboForex brand (outside of the EU), the broker offers the cTrader platform developed by Spotware Systems. To learn more about this platform, read our cTrader guide. Besides spreads, the range of instruments, and account types, RoboMarkets offers news headlines from Dow Jones, FxWirePro, and Claw & Horns. The Umstel platform is branded as R Trader at RoboMarkets (and at RoboForex) and comes as a web-based app that provides a simple user interface for creating trading strategies, in addition to basic charting and trading operations. 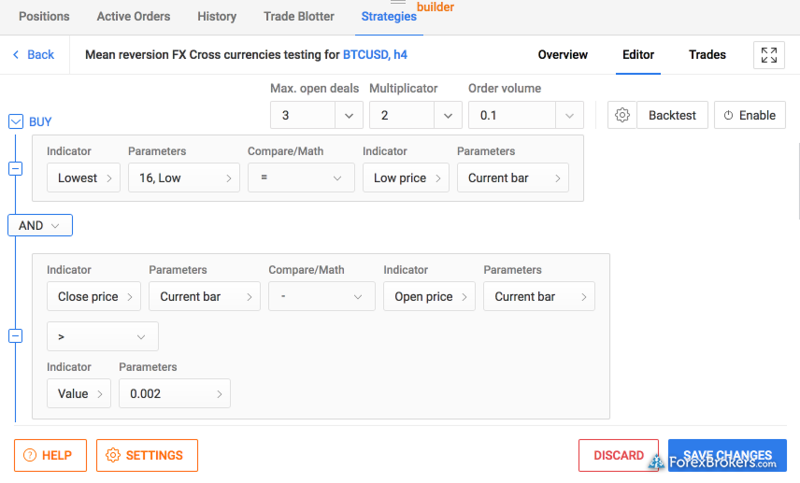 The Strategies Builder comes with a library of default strategies that can be customized, allowing for user-friendly automated trading strategies, such as specifying price conditions related to the state of candle or indicator, and creates an order when triggered. The charts are easy to use in R Trader, and support multiple timeframes, four chart types, 31 indicators, and seven drawing tools. 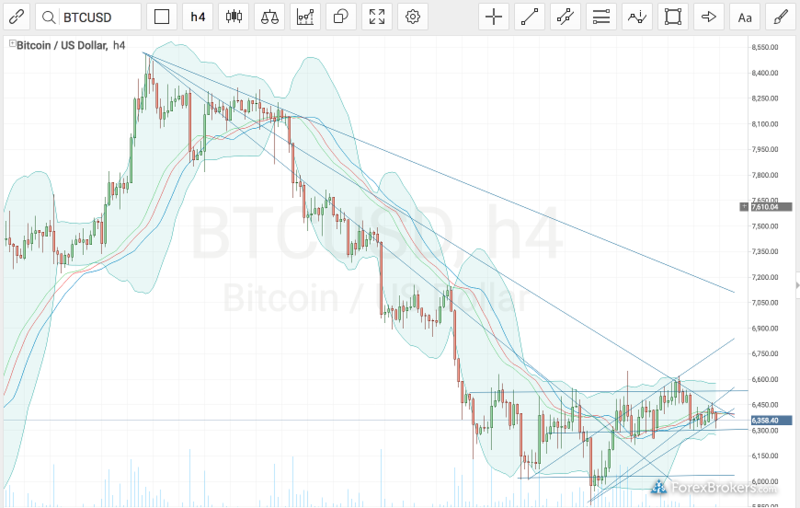 Instruments can also be overlaid, and drawing basic trend lines is generally easy. The watch list and trade ticket window are well designed, as it was very easy to switch between order entry windows – including trading from the order book, and adding instruments to a favorites list. 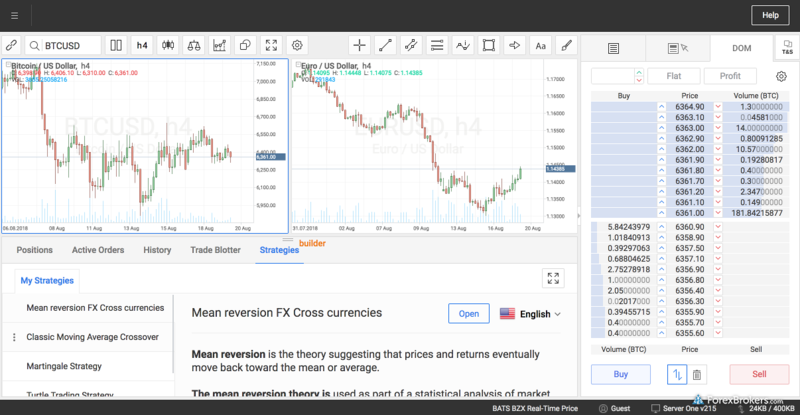 The R Trader platform is ideal for intermediate traders looking to make a foray into algorithmic trading but who are not ready to learn how to write the code platforms such as MetaTrader and cTrader require. On the other hand, the R Trader platform is unlikely to support more advanced trading systems that usually require complex adaptations to changing market conditions, yet RoboMarkets offers both options to suit its trader’s needs. RoboMarkets offers iOS and Android mobile trading applications for its MetaTrader platforms, available directly from the developers on the iTunes Store and Google Play. To learn more about MT4, read our guide to MetaTrader. For traders outside the EU, the broker offers the cTrader mobile app from its RoboForex brand. To learn more about cTrader mobile, read our cTrader guide. RoboMarkets offers a rich back office experience, with advanced features that include robust security measures such as two-step authentication and SMS verification, and access to the research portal. The brands under RFG Holdings offer traders numerous choices when it comes to automated trading and social copy trading, along with a good array of research tools and account options to select. RoboMarkets serves EU clients with MetaTrader platforms, whereas RoboForex caters to non-EU clients, and offers the cTrader platform from its Belize-regulated entity. Adding additional regulatory licenses from major jurisdictions would help the broker compete with its peers in the multi-asset category, considering the wide range of stock CFDs and range of platforms, including the R Trader platform, available to facilitate the use of automated trading strategies. Select one or more of these brokers to compare against RoboMarkets. 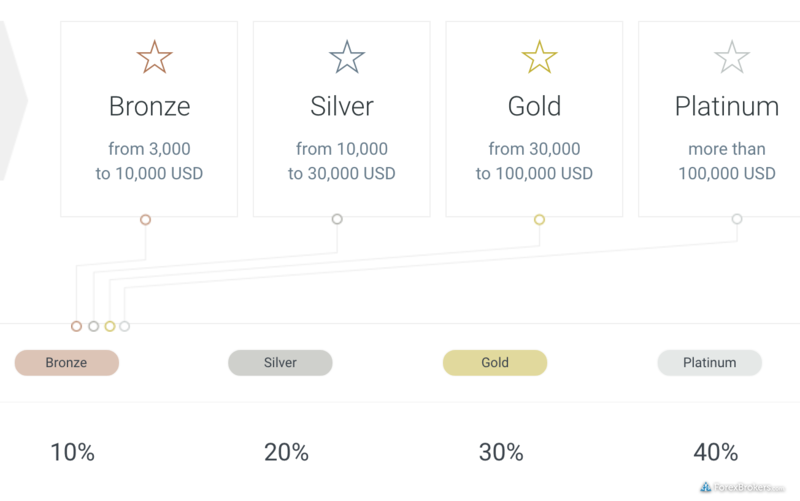 Find out how RoboMarkets stacks up against other brokers.